Email any questions to clinic@baywoodclinic.com or click to Call 416-515-0007 today! Get in touch today for an affordable Rosacea treatment! Call the Baywood Clinic today at 416-515-0007 to schedule a consultation with one of our board certified medical physicians. The VBeam Laser (Pulsed-Dye) has been used for over 20 years for the treatment of Rosacea,as well as many other dermatological conditions. It was developed to treat the most severe vascular birthmarks, like port-wine stains. Treating Rosacea, or facial redness and veins is, of course, much less difficult than dark birthmarks, making this technology a prime candidate for effective treatment of Rosacea. Many clinics or spas offer Intense Pulse Light (which is not laser) or Photo Facials to treat Rosacea. However, having tried all the leading technologies over 15 years, we have found the VBeam Laser to not only be more effective, but far more cost effective for our patients as well. Many other clinics and spas provide photofacial packages that involve “full-face” treatment, even if your Rosacea is localized to one or two areas. This results in an inflated cost, with little to no added value. Typically performed by a nurse or esthetician, photofacial packages can cost $3000 or more, with spotty results at best. Our doctors personally perform all your VBeam Rosacea laser treatments, and will tailor the session to meet your needs, usually at far less cost than their IPL Photofacial package counterparts. The VBeam Laser offers quick and painless treatment of Rosacea, with no need for topical anesthetic. In addition to the treatment of Rosacea, the VBeam Pulsed-Dye Laser can be used to treat a long list of dermatological conditions. Please note that we are a medical laser clinic, specializing in the laser treatment of Rosacea. OHIP does not cover the consultation for laser treatment of Rosacea, nor the treatment itself. The charge for the consultation is $50, which will then be applied to the cost of your first treatment. Rosacea is very common skin condition that affects more than 1.5 million Canadian individuals. It causes ‘rosy cheeks’ and red patches or small blood vessels on the face, and once inflamed, will remain inflamed for extended periods of time. The symptoms of Rosacea are made worse by exposure to sun, extreme heat/cold, and exercise. What are the causes of Rosacea? The specific cause of rosacea is unknown, but it is widely believed to be caused by the over dilation of blood vessels in the face. Flare ups can be caused by a wide range of triggers, from changes in environment, to alcohol spicy foods, to emotional stress, and many others. What is the connection between Rosacea and Spider Veins? Both facial and leg spider veins can easily be treated with the VBeam Laser. In fact it is the Gold-standard around the world in teaching hospitals for any sort of vascular dermatological problem. After initial treatment of Rosacea, once any mild redness or inflammation has subsided, spider veins rarely appear more noticeable. Spider veins can easily be eliminated using similar vascular laser treatments. Our clinical laser treatment for spider veins is the best there is. Period! How many laser treatments are needed to eliminate Rosacea? On average, 3-4 sessions are required for maximum cosmetic result. The number of treatments needed will vary based on your skin type, as well as the severity and exact location of your rosacea flare-ups. What can you expect after your first Rosacea laser treatment? It is normal to see your skin clear up dramatically after just a single treatment with the VBeam laser. 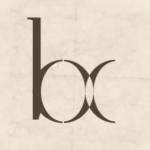 Rarely there is some slight bruising of the treated area, though, with a skilled and experienced physician, no pain or discomfort should be experienced. Rosacea is a chronic condition that affects the central part of the face, but fortunately it is treatable with lasers, and at the Baywood Clinic in Toronto, we have the gold-standard! Our doctors have treated many thousands of patients over the last 20 years, with every different skin type and background, and have excellent results. Patients with Rosacea often complain of flare-ups followed by remissions. Rosacea may begin at any age, and it can begin in different ways, but it typically starts after 30 with redness or flushing on the cheeks, nose, chin or forehead that comes and go. As time goes on the redness becomes ruddier and lasts longer, and patients may begin to notice visible blood vessels. Untreated, inflamed bumps and even small pimples can develop. Rarely, and in only the most severe cases, tissue on the nose swells and thickens. Fortunately, this is very rare and should never happen if your Rosacea is treated early by a physician. Some patients complain of rosacea affecting their eyes which can appear redder and irritated. Who gets rosacea? How does it affect a person? Rosacea can affect anyone; we have seen patients of every ethnic background. It tends to affect those of fairer complexion, who tend to flush easily. Many patients are of Irish, Scottish or Northern descent. It is called the “curse of the Celts” by some. But we have had patients with darker skin types from South East Asia and Mediterranean backgrounds as well. Females are more likely to have Rosacea, but males often have more severe and resistant cases. Rosacea has significant psychological impact on patients. Most tell us that it can lower their self-esteem and their confidence. In some cases, patients begin to avoid social contact – we once had a young female who stopped dating because of embarrassment. Once she was nearly clear, after using laser, she came to the clinic to thank us, saying it had completely altered her life. Treating Rosacea is one of the most gratifying things we do at the Baywood Clinic. Some patients tell us it is increasing their anxiety at work, since colleagues often wrongly attribute the facial redness to drinking alcohol; it can adversely affect their work relationships. What causes Rosacea is unknown, but recent research suggests that it is an inflammatory disorder, that is also associated with abnormalities in the immune system. Advanced research is ongoing to find a treatment, but for the time being, the most effective treatment to reduce the redness and blood vessels remains laser. The pulsed-dye laser we use is the gold standard around the world for destroying the blood vessels that are the cause of the symptoms of Rosacea. It is a disease of angioneogenesis, or new growth of blood vessels. While medication can reduce the development of the small white papules seen in Rosacea, it is laser that can actually destroy the excess blood vessels and return the skin to a normal state. The laser works by specifically targeting anything red, the wavelength of 595nm is specific for that color. Since the blood in the vessels absorbs the laser light, it changes to heat and destroys the vessel, it is a gentle, safe process that takes about 20 minutes, and has no real downtime. Occasionally smaller vessels need to be gently bruised but this resolves in 2-3 days. Usually you will look a bit flushed for an hour or two and you will notice improvement after each laser session. Persistent facial redness that looks like a blush or sunburn and won’t go away. Thickening of the skin, which may enlarge from excess tissue, usually on your nose. This is quite uncommon. Frequent blushing, flushing, or a generalized redness of the face, often in response to triggers like alcohol, heat or cold, exercise etc. Your face feels warm, like mild sunburn, this is often the earliest sign of Rosacea. These are small, often filled with a white substance, and they may hurt. There is no black color, like the blackheads found in acne. Small veins on the nose or face are associated with Rosacea. Watery or bloodshot eyes can occur, though less common. If this occurs, with crusting and irritation, it is important to see your doctor as soon as possible. Other symptoms may include burning feelings on the skin, dryness, and in rare circumstances evidence of Rosacea on parts of the body apart from the face, like the chest or neck and ears. Rosacea is often treated with topical medication. Generally, these can relive the bumps and pimples found in the disorder but are less effective in reducing redness and blood vessels. The clear majority of patients we see for laser treatment have tried long courses of various medications but have not been satisfied with the results. On occasion we do prescribe antibiotics in serious cases, as they can be of benefit until laser controls your Rosacea. 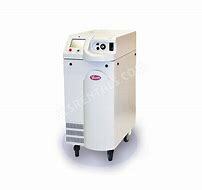 Generally, 3-4 sessions of pulsed dye laser treatment reduce visible redness and blood vessels 80% or more, in some cases complete clearance is achieved. We have treated many thousands of patients with rosacea in our Toronto Laser Clinic. Usually patients return every 12-18 months for maintenance therapy, although some go years in between treatments. It is important to manage you triggers to get the longest possible results. Skin Care is an important component of maintaining your results. Use a gentle face wash or moisturizer, and never roughly scrub your face. There are a variety of products we can recommend that are especially made for rosacea sufferers that we have found to be helpful over the years. Sunscreens are a vital part of your Rosacea care program. Certainly, a gentle non-allergenic screen is best – using 60 SPF for normal daily use and a 110 SPF if you need to be in the sun directly. Avoid exposure to the face as much as possible especially between 11- 3 PM when the sun is at its hottest. Get serious about sunscreens! Everyone, regardless of skin type, should be wearing at least a 60 SPF during the late Spring & Summer months. This is the best way to prevent skin aging, wrinkles, brown spots, and cancers as well as Rosacea. On the face, hands and chest a 60 SPF minimum is recommended. Try to avoid direct sunlight as much as possible, wear a wide brimmed hat; if you are on vacation head to the pool or beach before 11, or after 4, and use an 80 SPF or above. The care you show your skin now pays huge dividends down the road; avoiding sun-damage is the simplest and most cost-effective way to keep your youthful appearance! Avoiding your triggers is an important component of Rosacea control. These will differ with each patient but typically sun, alcohol, heat and cold are the worst. Try and track those things that cause you to flush, and moderate or eliminate them as best you can. You can easily find more detailed lists of triggers on many websites dedicated to rosacea suffers like Rosacea.org. The key is to treat you Rosacea early, and to maintain an awareness of your personal triggers, and to avoid them to the best of your ability. Try to avoid sun exposure before treatments with the Vbeam laser and throughout treatment in order to maximize results. A SPF 30 or higher sunblock of SPF 30 should be used daily during the period when you are being treated with laser. Post laser care guidelines depend on the condition that is treated, and the Doctor will discuss with you at the time of your visit. Generally, for the first 24 hours post treatment it is a good idea to avoid alcohol, vigorous exercise and excessive heat and cold. This is to allow the damaged vessels to be destroyed and not refill. Some patients might experience mild redness or swelling in the lasered areas immediately following treatment, this usually resolves in a few hours. Occasionally purpura, a slight bruise, may occur; these are transient and disappear in three to six days. Usually, patients find that post treatment, they feel just like when their flushing is at its worst, but because the vessels are heated and solidified, the flush lasts a few hours. This is a great result that we hope to see. Most patients see some results right away, feeling a tightening of the skin in the treated area. Typically, the first noticeable improvement in you Rosacea is an improvement in flushing. Patients tell us that they notice they do not flush as deeply, or for as long as the treatments progress. The next thing they notice is that their overall l level of redness is decreasing, usually after the third or fourth session. Most patients get 85% or more clearance by the 4th sessions, thought it varies depending on your skin type and the severity of your Rosacea. Duration of results depends on many factors, which include your age, the severity of the Rosacea, the areas being treated but most importantly your ability to avoid your triggers. Rosacea is a progressive condition, influenced by genetics, and even if you did not do laser treatment, it would slowly get worse if you cannot avoid the triggers/ Sun, alcohol, heat and cold, spicy foods are the usual culprits. Some patients simply cannot avoid all the triggers. For example, one patient was an active marathon runner, and although he avoided the sun during his training runs as best he could, such extreme exercise caused him to flush. 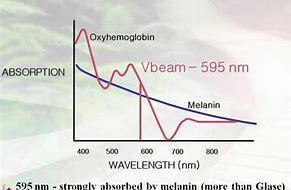 Treatment is extremely safe, so much so that the Vbeam has been successfully used since the 1980’s. It began as a treatment for use in very small children and infants for a condition called Port Wine Stains, a deeply red mark that is far more vascular than Rosacea. If the laser could treat such a serious condition, it made sense that it would be effective on Rosacea. 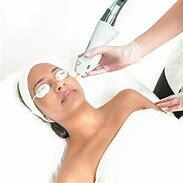 During laser treatment, your epidermis, or the surface layer of the skin, is protected by a dynamic cooling method, DCD. 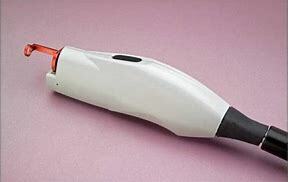 This device sprays a cooling solution onto the skin prior to each laser pulse, this makes sure that the skin is protected and that you are comfortable and was a breakthrough in the use of lasers for dermatologic conditions. We can use higher energies and longer pulses, knowing that your skin will be safe and that you will be comfortable. The treatment is generally very comfortable, and patients do not require any anesthetic. Most patients state that they feel a warm or slightly stinging sensation while the laser is being fired, that last only a split second. After the treatment the skin might feel like very mild sunburn for a few hours. Pain medication is never necessary, particularly since the cooling spray protects the skin so well that there is no damage to the parts of skin that we do want to affect. It has a very strong ability to increase collagen in the skin. This is the part of the dermis, or deeper layer of the skin, that acts to support the surface epidermis. Collagen is the part of the dermis that makes it look full and youthful, as it gives volume to the skin. In fact, fillers that are used in facial rejuvenation create the same effect. So, we have many patients who come to the clinic to use the Vbeam solely for facial rejuvenation. In many cases patients who have tried the Vbeam for Rosacea notice how soft and fresh their skin looks after their sessions are complete, and return on a yearly basis, even if their redness is controlled, simply to increase the collagen in their skin. The VBeam is also excellent for preventing scarring. After an acne lesion heals, it leaves a red mark; which can eventually scar, especially in Asian skin. We have successfully treated hundreds of patients with this post acne-redness, to prevent any scarring. In fact, the laser is sometimes used, in combination with medication to treat several active forms of acne.